Fillmore Central/Exeter-Milligan has started the 2018 softball season 1-2. The Panthers lost defending State champion Bishop Neumann and Centennial on Saturday in Geneva. 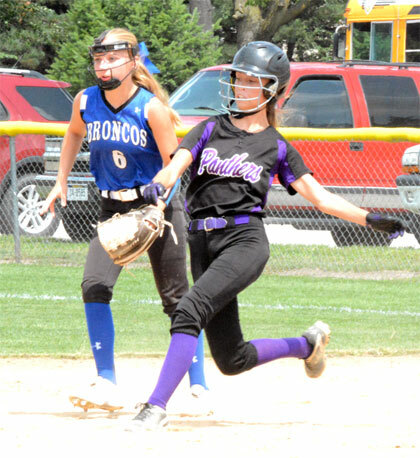 On Thursday, the short-on-numbers Panthers downed Blue Hill 13-3. FC/E-M couln't get anything started off Cavilier pitcher Hadley Chvatal who fanned six and allowed just one hit. Forty of Chvatal's 56 pitches were strikes. Lead-off hitter Josie Kresak had the only Panther hit. 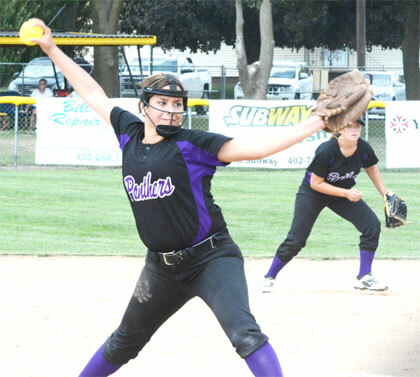 Kalisha Gergen and Jacy Schlueter combined to pitch the four innings for FC/E-M. The Cavaliers plated five runs in the top of the fourth. B/N scored three in the first inning and lone runs in the second and third. The match-up against Centennial was tied through five innings. Kresak was a solid 3-for-3 at the dish for the Panthers and scored FC/E-M's lone run on a crazy play at the plate. Jayda Gaston had the Panther's other hit on a 1-for-2 effort. Schlueter struck out two and allowed only eight hits. She also walked four on 105 pitches. The Panthers began their 2018 campaign with a 13-3 win at Blue Hill. FC/E-M scored two runs in the first inning; four in the third; two in the fourth and ended the contest with five in the seventh inning. Kresak led the Panther bats with a 3-for-5 performance and scoring three runs. Schlueter was 4-for-5 at the place with a home run. Gergen went 3-for-5 agaist the Bobcats and scored a run. Cailtin Murphy was 2-for-4 at the dish with a run scored. Kayla Geiger, Gaston, Sydney Simacek; Georgia Meyer and Kelsi Gaston all belted hits for the winners. Schlueter threw all sevening innings for FC/E-M, striking out 16 and walking seven. She allowed only one earned run last Thursday. The Panthers hosted 3-1 Fairbury on Tuesday and Saturday's home tournament has 4-1 Twin River; 3-1 Raymond Central and 2-2 Ord in it.